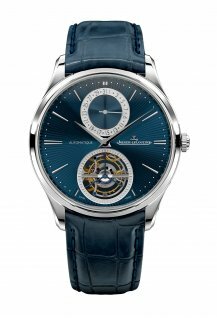 The last model in a series of three complicated watches has a bright hand engine-turned dial in blue enamel and a tourbillon. 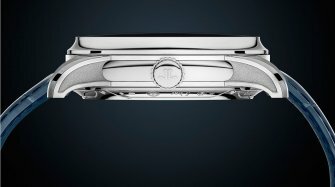 Presented by Jaeger-LeCoultre during the 2019 SIHH, the Master Ultra Thin Toubillon Enamel features a new tourbillon movement at 6 o'clock and a new-look date counter at 12 o'clock. 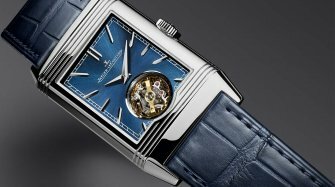 This limited series of 50 pieces is powered by the famous Jaeger-LeCoultre Caliber 978 which has been reconceived both technically and aesthetically. 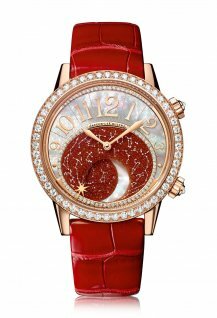 In terms of finishes, notice the sunray-effect, as well as the light and graceful gold oscillating weight. 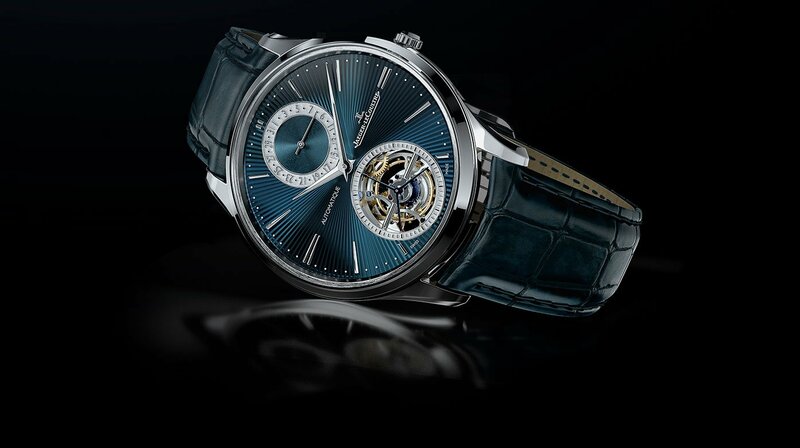 With an almost tangible quality under its transparent sapphire crystal, the tourbillon showcases its acrobatic dexterity with rare precision on a blue and white gold backdrop, revealing the details of its finishes. 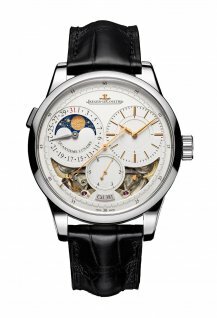 The arrow of the small seconds hand indicates 60 numerals as it makes its way around the dial. 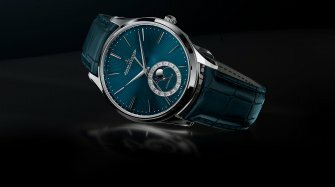 For the artists and artisans of the Manufacture's Rare Handcrafts (“Métiers Rares®”), the Master Ultra Thin line remains an endless source of inspiration, as reflected by the hand-guilloché dial that blends in with a beautiful blue enamel background, the white gold case with its 40 mm diameter, as well as the slender hour markers, specially redesigned for this limited edition and appearing to be a natural extension of the Dauphine hands.